What you must understand about Leonardo da Vinci’s Last Supper is the moment it captures. The fresco on the wall of the Santa Maria della Grazie church is a masterpiece of the imagined point at which Jesus reveals that he will be betrayed by one of his own. The painting has miraculously survived the Renaissance, the French Invasion and the Second World War (apparently the wall was used for target practice), almost crumbling each time. You must reserve a 15-minute viewing slot to understand just how overwhelmingly powerful a work of art can be. 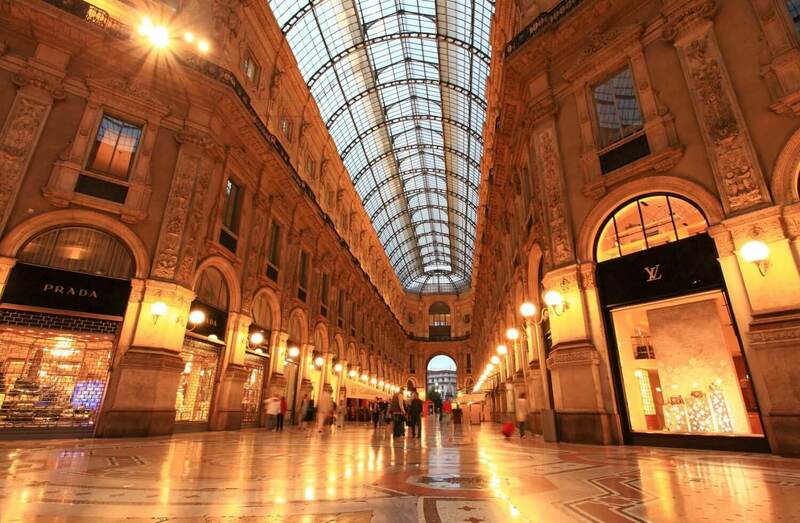 Milan has been a fashion capital for decades, but European designer price tags can cost you as much as a mini holiday. So get smart and look for outlet stores of the designers. They are usually stocked with seconds, leftovers and surplus and are located on Corso Vittorio Emanuele II. Just outside the city is the Serravalle Designer Outlet, which has 180 stores including Prada and Dolce & Gabbana with discounts that range from 30-70%. Within the city is the Dmagazine Outlet, a haven for womenswear. La Scala is one of the world’s best theatres, a reputation it has for over two centuries. Masterpieces of opera from Puccini, Verdi to Bellini have debuted here, giving it a heritage few others can claim. Tickets are expensive and not entirely easy to get hold of, so make sure you book ahead. The productions here might be steeped in history but are intensely modern too, with elaborate sets and most importantly running translations on screens on seatbacks. 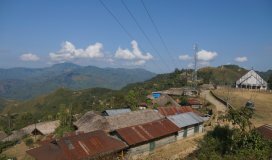 The place still has lots to explore and you can stay there for a couple of days to get a true glimpse. Surf through the list of Scala Hotels and pick what suits you best. 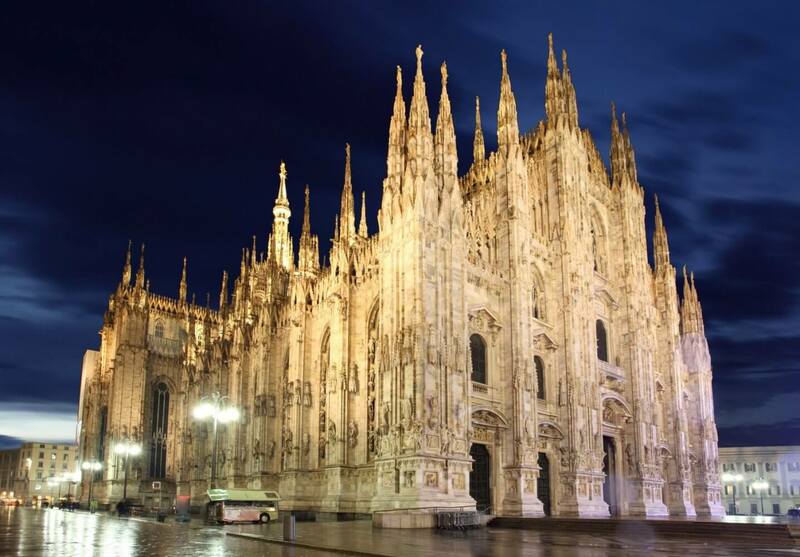 The Duomo is Milan’s most arresting spot, the grand Gothic cathedral that towers over the city and forms its focal point. It is home to 3,500 statues and its 135 spires piercing the sky make for a riveting sight. It took 500 years to build, and even today there are bits still being completed. Don’t just stay on ground and snap pictures. Take the stairs and climb to the roof of the cathedral. There’s an elevator too if shopping has tired you out. The view from here lays out Milan at your feet and on clear days, you can see the Alps in the distance. Surf the list of hotels in Duomo. Fix a budget and decide what facilities you require before booking what suits you. Predictably the hippest zip code in Milan is also the destination for a glitzy night out. 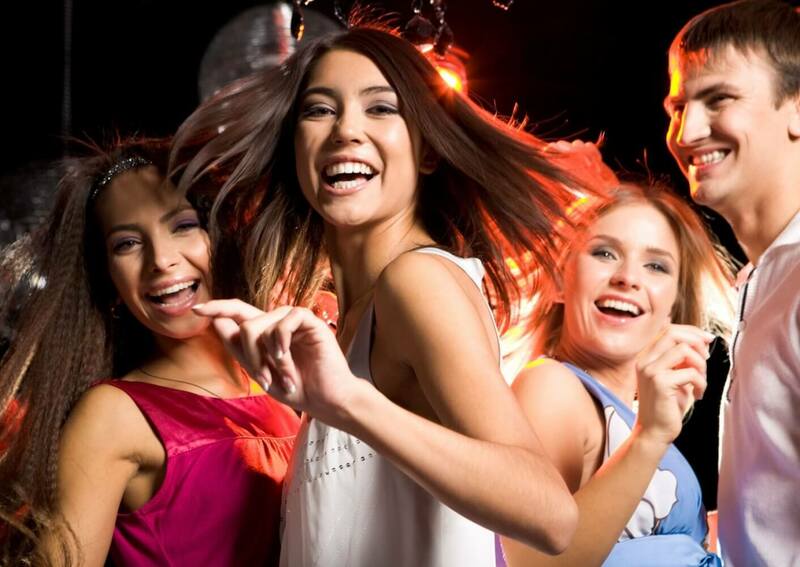 Some of the city’s best bars and clubs are located on this stretch and hopping from one to the other is recommended if you have the energy to do so – the swanky spots stay open and packed till the early hours of the morning. Go classic with Hollywood, one of the older establishments, or Plastic, peopled by disco hipsters. 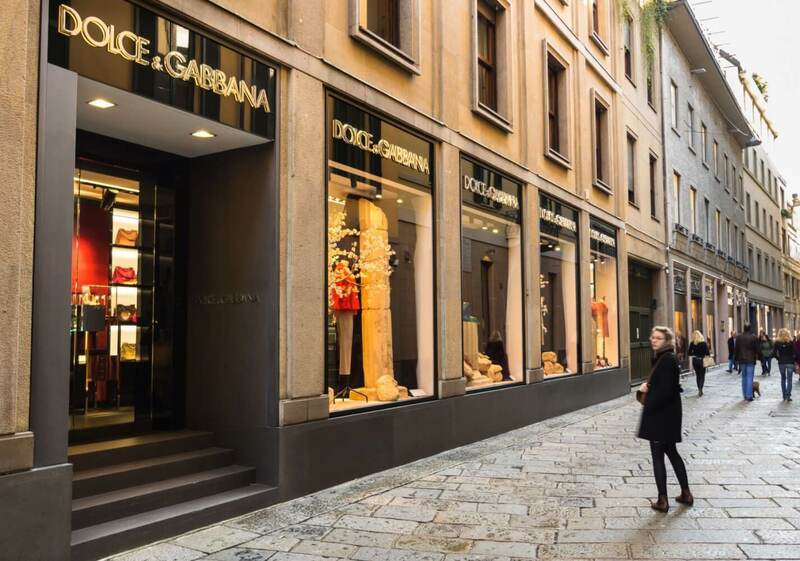 Dolce & Gabbana’s Gold gives you a taste of Italian opulence, while Byblos Milano and 10 Corso Como have a more ‘design’ and ‘artsy’ feel. So why not plan your stay at one of the Como Hotels? Hotel bookings have become easy now because of online portals. Milan is an old, old city, but it’s also a city that sits on the cutting edge of design, hosting some of the best design fairs in the world. 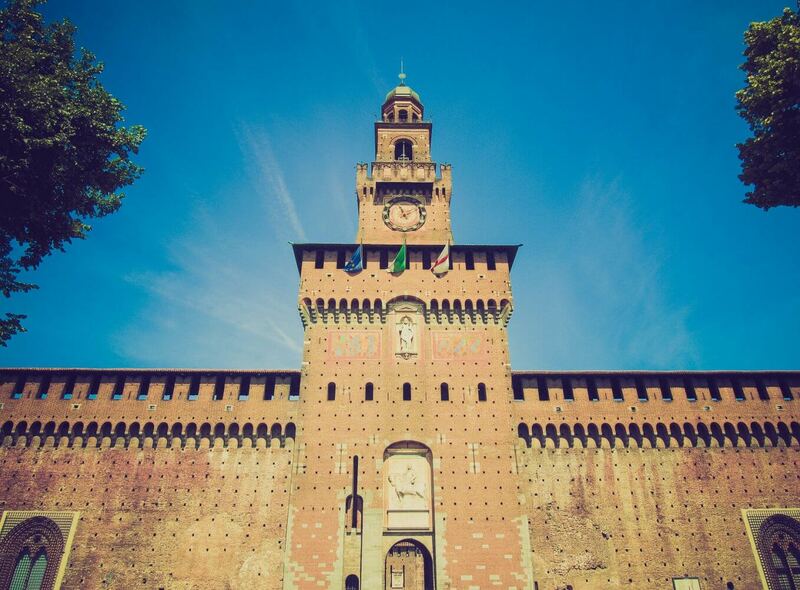 A good place to start your crash course of art and design is the Castello Sforzesco, which archives moments from the Palaeolithic era to the high points of 1950s furniture design. Look out for highlights from Leonardo da Vinci’s life at one of their 12 small museums, the Museo d'Arte e Scienza, and sculptures by early Renaissance masters like Bellini and Mantegna in the Pinacoteca di Castello gallery. On the other hand, the Triennale di Milano is the permanent exhibition space for modern and contemporary design with exhibits that swing between graphic, product and furniture. Milan catwalks dictate fashion seasons – and it’s no surprise that the stores follow suit too. The designer ateliers are hard-won visits, but the stores in all their elegant and bespoke glory are located in a little rectangle between the streets of Via della Spiga, Via Manzoni, Via Sant'Andrea and Via Montenapoleone. It’s called the Golden Rectangle, or it could also go by ‘the Bermuda Triangle of credit cards and exhausted bank accounts.’ The armies of Armani, Chanel, Missoni, Prada and Versace will beckon, and you will be tempted. But even if you can’t afford the labels, the walk through the rectangle is a rewarding one – the window displays are superb. Venice is not the only Italian destination with canals running through. 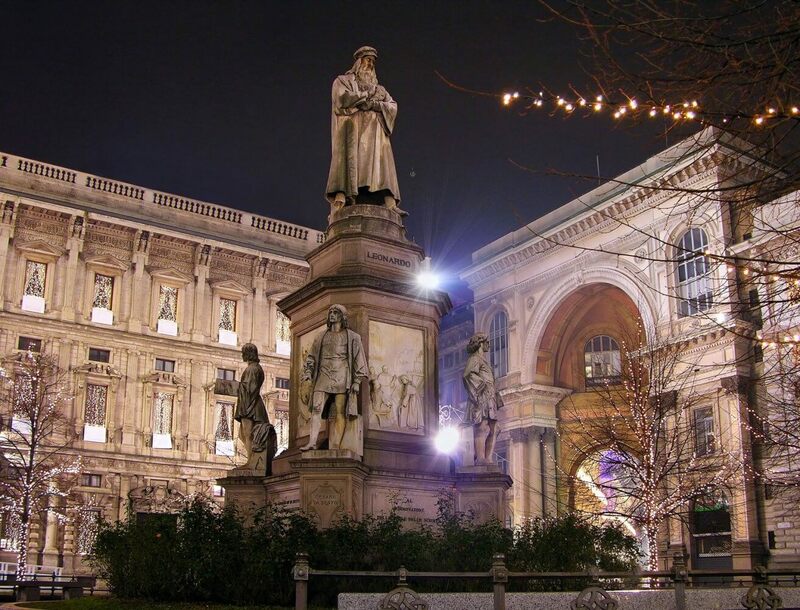 Milan enjoys the distinction too, with the added benefit of Leonardo da Vinci having designed one of them. 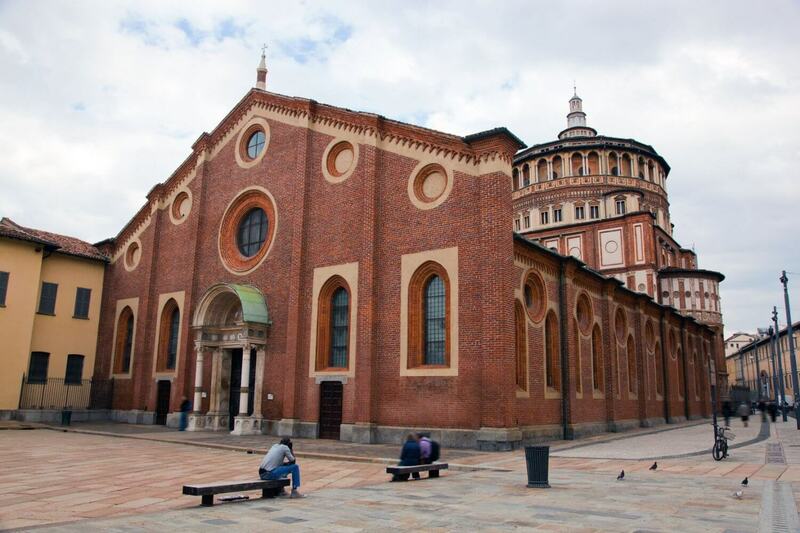 Sign up for tours that take you on these ancient waterways, to the old port of Darsena that linked Milan with the Ticino and Po rivers. You can walk along the river and canal sides that are full of cafes, stores, clubs, lounges and artist galleries and workshops. 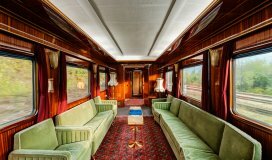 Do you want a true taste of the unique Italian locations? 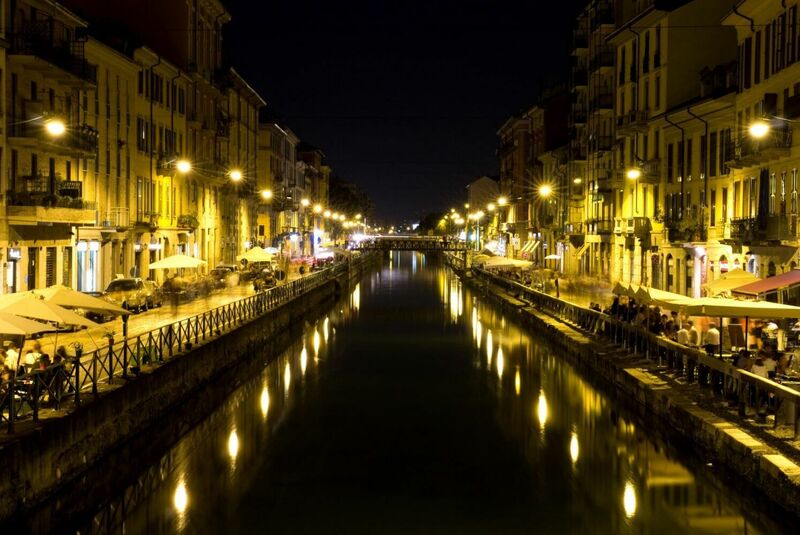 Then book into Navigli Hotels and plan an elaborate stay. Yes shopping does seem to dominate your stay in Milan. 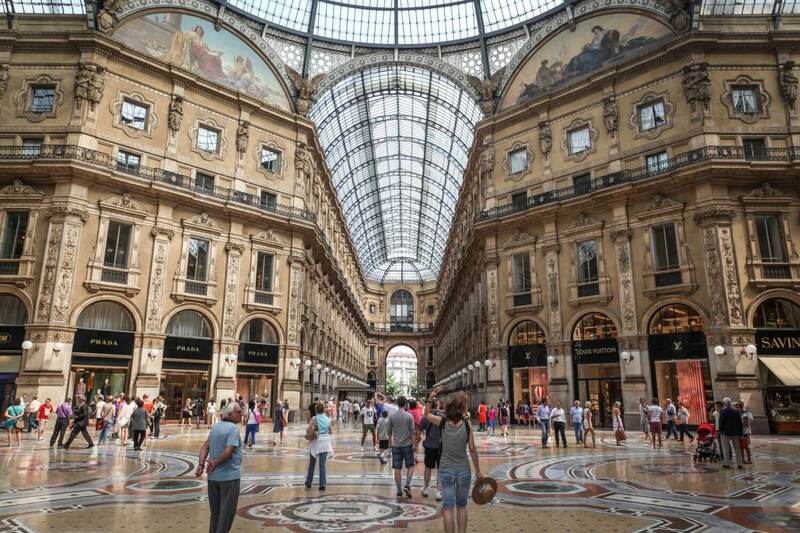 And it’s not a new trend – the Galleria Vittorio Emanuele II is a mall that’s been around since the mid-1800s. The space itself is a magnificent fusion of glass and iron, made much before even the Eiffel Tower was built. It’s seen the debut of some of Milan’s biggest fashion moments, like the opening of the Prada flagship store in 1913, followed by Gucci. It’s also been the parlour of the city, where people have gathered at the cafes to people watch over coffee and cake, and occasionally loudly discuss politics as well. The rivers around Milan have made it a fertile ground for Arborio rice, which might be a reason for the immense popularity of risotto in the city. 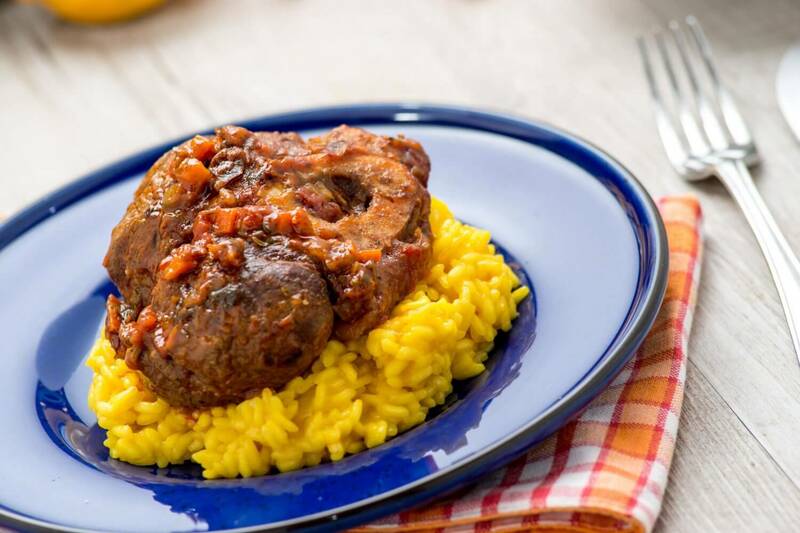 The Milanese version, risotto alla Milanese is a creamy saffron infused one, that is sometimes also served al salto or ‘lightly fried’. 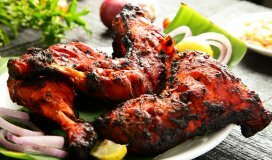 The flavours arise from its slow cooking, the rich textures of cream and the light smattering of saffron. It’s available at almost all restaurants, but for a bit of tradition, head to Il Cantione, near the Duomo, or Savini, near the Manzoni theatre, that was once frequented by Frank Sinatra and Charlie Chaplin. Booking flights has now become easy. Check out the different flights to Milan, their timings and their fares. 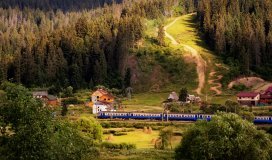 These factors will help you decide which flight to pick for your Sojourn. Milan is an expensive city but everyone is happy to make space for bargain hunters. Their happy hours are truly ‘happy’ where cocktail prices plummet appreciably.